Leslie Bruce is a #1 New York Times bestselling author and an award-winning entertainment journalist. Passionate about the art of storytelling, Leslie has written five books, which have all been on the New York Times bestsellers list. 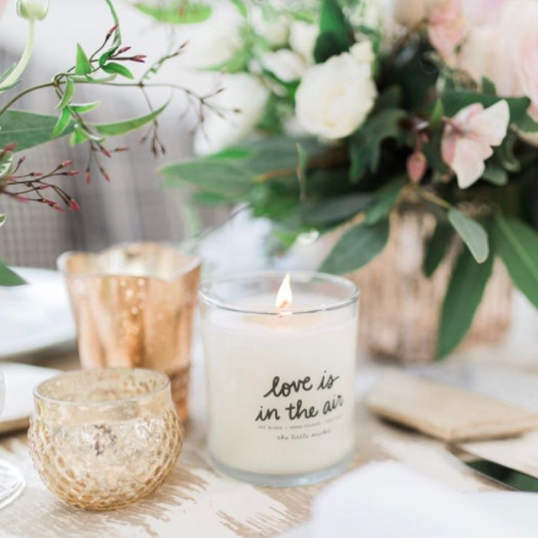 She most recently collaborated with The Little Market co-founder Lauren Conrad for her latest book Celebrate. Prior to her career in publishing, Leslie was an editor at entertainment magazines US Weekly and The Hollywood Reporter. 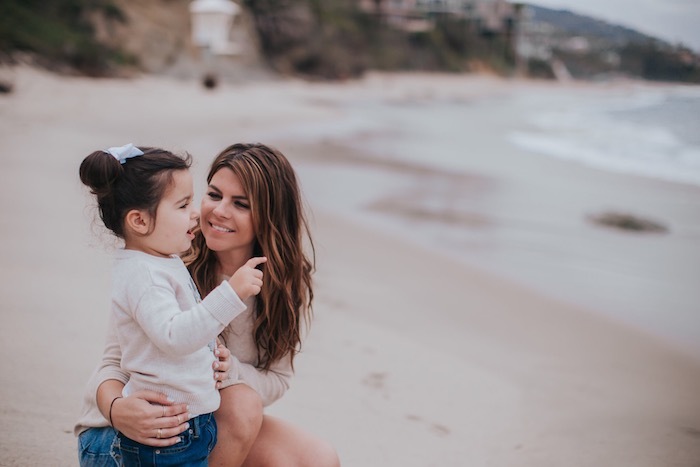 Last year, Leslie launched her “modern mama” parenting website Unpacified, and is a frequent contributor for LaurenConrad.com as well as The Bump. You can follow along on her journey on Instagram at @leslieannebruce. How long have you known Lauren? What’s one of your favorite memories you share with Lauren? Lauren and I have been friends for more than a decade, which is totally insane to think about (mostly because it’s a glaring reminder of how much older I’ve gotten). One of the best parts about our friendship is that we share a similar sense of humor, so it’s pretty safe to say that our favorite memories of one another are probably super embarrassing. Let’s just say, she doesn’t let me forget my questionable 2007 fashion decisions and I don’t let her forget who is better at card games (any of them). Also, I’m pretty sure that we are cursed to never enjoy a smooth airplane ride together. I think my favorite memory is when she shared the news that she and William are expecting. She is an incredible mother, but she is lousy at photographing s’mores. How do you know Hannah? What’s one of your favorite memories you share with Hannah? Well … speaking of incredible mothers! Hannah and I have known each other for about two years, and became fast friends. Her daughter and mine are roughly six months apart. Motherhood is a rollercoaster, especially for the first time, and one of the most amazing things about it (besides your new little human) is its ability to bring women together. I don’t know if this qualifies as a “favorite” memory, but one of the things I cherish about our friendship is how much we can lean on one another. Everyone needs a good vent session now and then, and Hannah is always open, supportive, and kind. I’m so blessed to have her. At any given time, I probably have about half a dozen Little Market candles burning in my house. They’re my favorite way to freshen up my space, especially since I live with a toddler and two dogs! 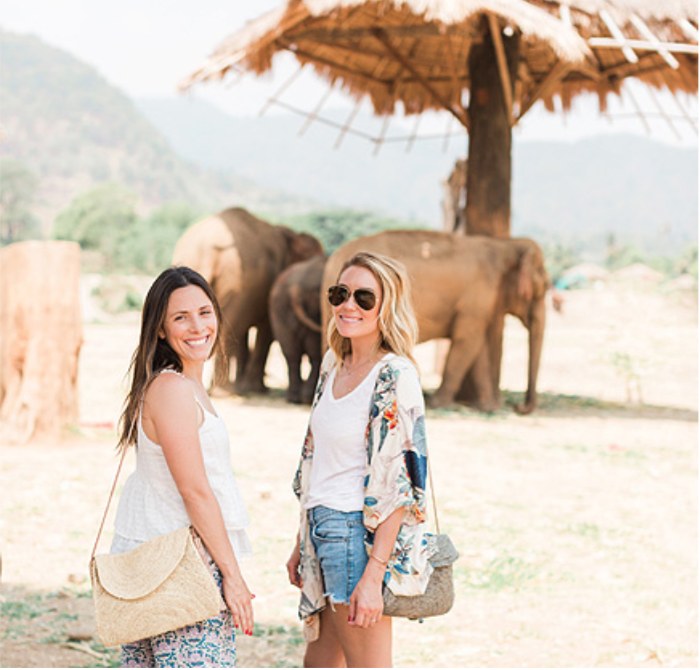 I’m obsessed with my weekend tote and use it on pretty much every getaway. The Mexican serape blankets are a beautiful way to add a pop of color, as are the bright pom pom garlands (which I recently picked up for my daughter’s room). My husband and I just moved into a new home in Laguna Beach, and the woven bath bins are perfect for adding some beautiful, practical storage. What is your favorite product from The Little Market to gift? 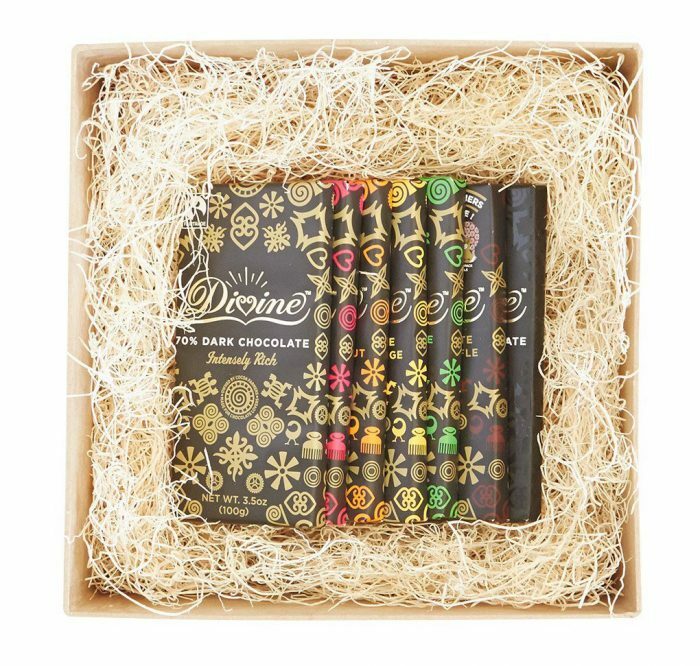 I usually opt for a gift box: which can be any combination of candles, body scrubs, chocolate, teas, etc. Recently, I bought a few of my favorite people the ikat satchel clutch because it’s the perfect summer handbag, on top of being a really beautiful accessory. Currently … real, honest motherhood. It’s what I’m most passionate about because it’s what I’m living everyday. Did you keep a journal or a diary growing up? Growing up, I always kept a diary … usually a few at a time. I have a weak spot for really beautiful journals. You have such an honest way of telling stories. Were you ever nervous to open yourself up to the public so much? Terrified. I’m an incredibly private person, so the idea of sharing my story and putting it out into the blogosphere (a world which isn’t always that kind) felt really daunting. But I realized that in order to best support other women who are also on this motherhood journey, I needed to be open, honest, and sincere about my own experience. I’m a pretty confident person when it comes to most things, but, for me, motherhood left me feeling so vulnerable. There was this tremendous pressure to be really good at it — after all, I’m raising another human and hoping she is a good, happy person. And not just any human … a human that I really, really like! It’s a very humbling experience. I’ve removed the word balance from my vocabulary. It doesn’t exist. I spend most days putting out the biggest fires. Six days a week, my priority is my daughter and her needs, followed by my work. On the seventh day, I prioritize myself and my own mental, physical, and emotional wellness. I realized that by taking that one day, I am far more effective the other six days and the outcome is a net gain for everyone. Patience. Humility. Selflessness. Becoming a mother has opened my eyes, emptied my bank account and filled my heart. What surprised you the most about becoming a mom? How emotional I am! It’s actually something Lauren loves to point out. I’ve grown far weepier since becoming a mother. The news affects me in a way I never expected, and I can’t watch a single episode of “This Is Us” without crumbling. I have ALL of the feelings. How has being a mom made you more compassionate toward women around the world? Motherhood provides a connective tissue that can break any geographical, ethnic, and socio-economic barrier. When women become mothers, their life is no longer their own. It’s no longer about doing what is right and best for us, it’s about caring for and protecting our children to the best of our ability and hopefully leaving this world a better place for them. When did you know you wanted to launch Unpacified? Unpacified was born (pun intended) out of a sincere need for honest, raw conversation about the realities of motherhood. 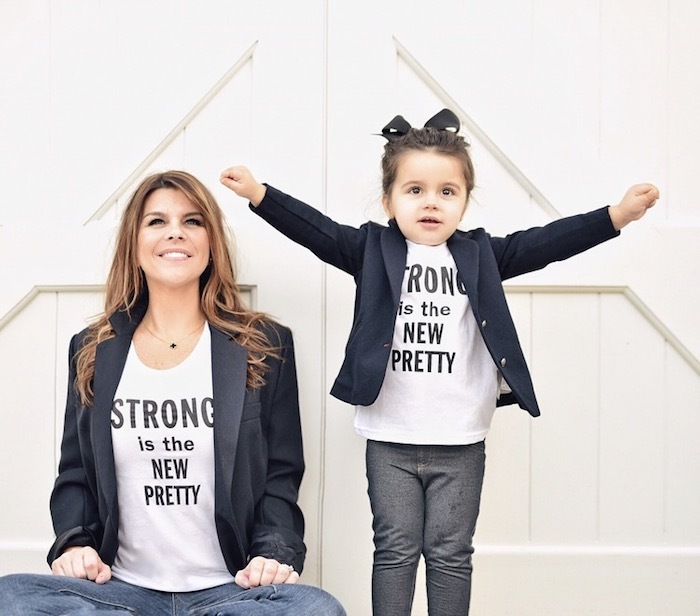 When my daughter was born, my transition from 30-something career woman to new mama was really challenging, but from where I was standing, it looked like other women were just nailing it. I didn’t understand why it was hard for me when everyone else seemed to be having an easier time. The truth was, most women struggle, but no one was really talking about it. Once I realized that, Unpacified came to be. I’ve been writing since I could hold a pencil. It was never an option of if it was something I wanted to do or strived to do, it was always just what I was going to do. I don’t understand the question ☺. Which accomplishment in your life so far are you the most proud of and why? This is where I’m supposed to say, “Becoming a Mother.” Don’t get me wrong, I’ve very proud of my motherhood journey and the beautiful, happy little girl I have the honor of raising. That said, I’ve also co-authored five books … all of which have appeared on the New York Times bestsellers list. I’m pretty freaking proud of that too. I have two: “Memoirs of a Geisha” by Arthur Golden and “Where the Wild Things Are” by Maurice Sendak. Do you have a favorite documentary? I’ve always loved “Grey Gardens,” and after working in the magazine industry for years, I can’t help but be fascinated by “The September Issue.” That being said, I was profoundly moved when The Little Market hosted a viewing of “He Named Me Malala.” It’s extremely powerful. Harland Miller. He does these large canvas recreations of iconic Penguin Covers and gives them a biting, satirical twist. I mean, books plus sarcasm? Totally my thing. 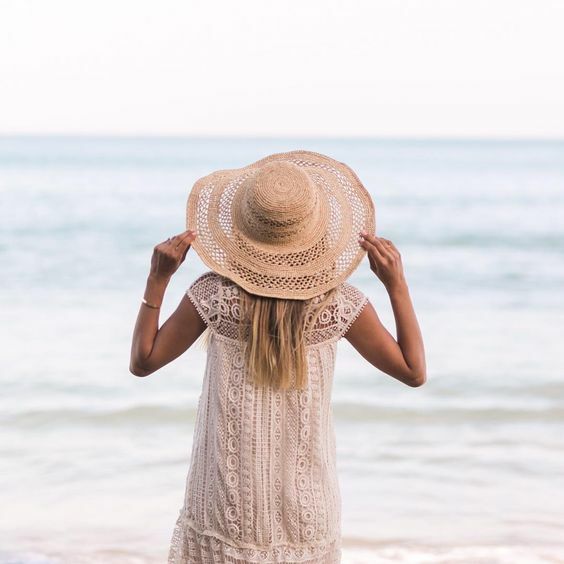 Anywhere with a white sandy beach (becoming a parent really lowered my travel goals). Truthfully, I’ve been really itching to take Tallulah to Hawaii. It depends on what I’m writing, but it’s usually from conversation. I’m blessed to have an amazing, awe-inspiring network of wonderful people in my life, and my ideas usually grow organically out of those relationships. Who were your idols and/or mentors when you were a child? Lucille Ball and Mary Tyler Moore. When it comes to women breaking barriers, they really redefined what it meant to be women in entertainment. Mary Tyler Moore fought to wear pants on TV. Pants! As if stay-at-home mothers wore dresses all day. It sounds like a silly battle, but at the time, it was a huge statement. What words of wisdom could you provide to others who want to get into writing? We may not use typewriters anymore, but there is always a need for writers who are brave enough to take the most honest, vulnerable parts of their being and put them on a page. What does empowering women mean to you? Everything. It means demanding equal treatment, equal pay, and equal rights, and it means never conceding that battle until every woman is treated with the same respect as every man. What does “fair trade” mean to you? Equal pay for equal product. It means no woman (or man) should be undercompensated or undervalued so that I, as a consumer, can save a few dollars. The weight of my wallet will never be more important than a human being. Do you have a favorite product that you want to tell us about? 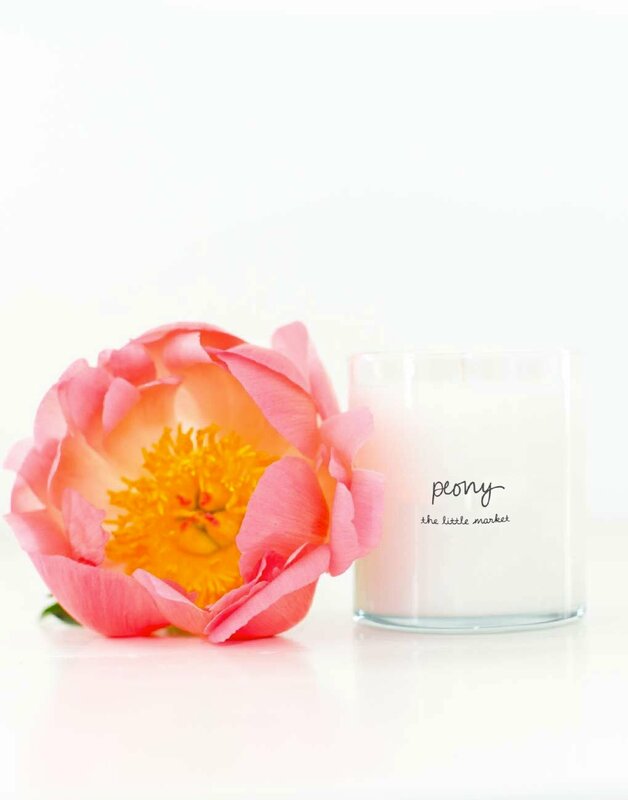 The Peony-scented candle. It’s such a beautiful scent; it’s what I imagine “happiness” to smell like. Which causes are you most passionate about and why? I’ve recently joined Alliance of Moms, an organization dedicated to stopping the intergenerational cycle of babies born to teens in the Los Angeles foster care system. The statistics are staggering and the stories are heartbreaking, and it’s in my own backyard. I have the means and the ability to affect some real change; it’s an incredible program. Head to http://allianceofmoms.org/ to learn more about the organization and if you’re in the Los Angeles area, please join us for an upcoming Cocktails & Conversation.